Grow. Cook. Sew. 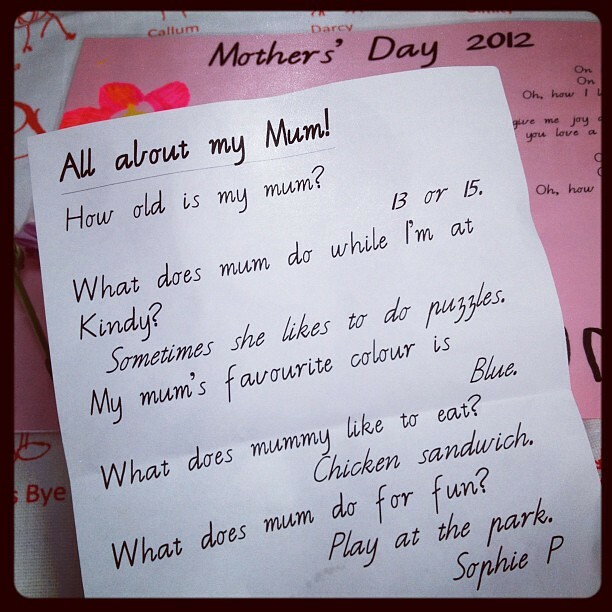 : So what does mummy do for fun? Sophie just came home from kindy with my mother's day treats.. I got a lovely tea towel that had drawings by all the kids printed on it, a laminated drawing that I can use as a placemat if the urge strikes, a delicious chocolate shortbread cookie (I know it was delicious because I ate it already), a vase with flowers made from an old glass bottle, a bracelet painted by Sophie and a very funny note.. I was in hysterics reading it. I love that Sophie thinks I am 13 or 15. Sophie's school had a special mother's day afternoon tea and concert and she was so upset that I could not go, but I sent Tom's mum along instead so at least she had someone there.. 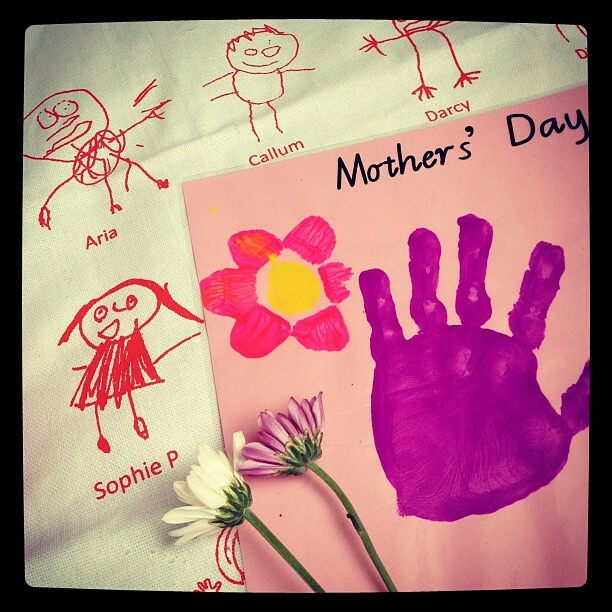 I hope you have a lovely mother's day planned (or being planned for you)..
She is so cute, Have a wonderful mothers day. Hehe! I love that 14 wasn't an option, only 13 or 15! okay, that is hilarious. and so loving that you're 13 or 15.